The musician has put together a subtle programme which is characterized by numerous cross-references: Berg's early sonata op. 1, Schubert's extroverted Sonata in D Major, the Romanian Folk Dances by Béla Bartók, and the world premiere recording of Éric Tanguy's Toccata (2006). The works describe dealing with the past and traditions - and the break with these. 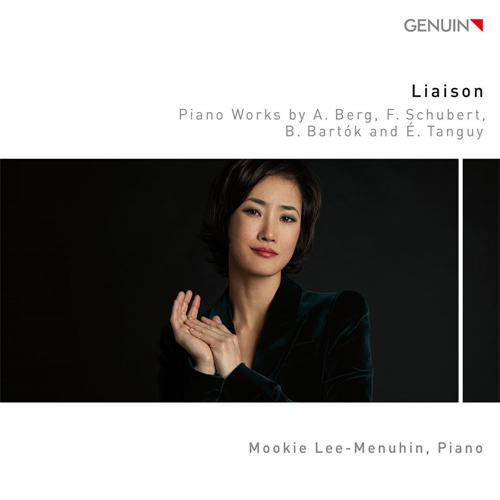 Mookie Lee-Menuhin presents all this with a sophisticated sound and a gorgeous pianistic touch - a real success! 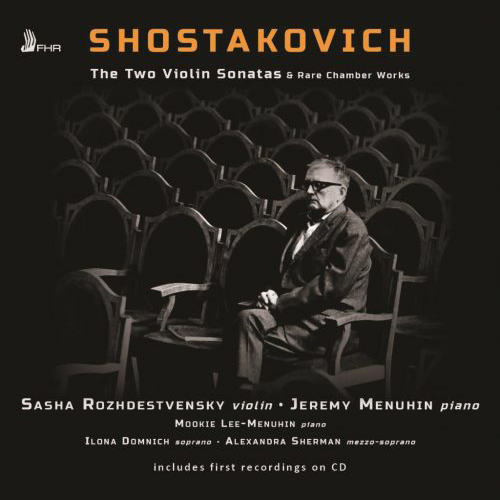 The title of the CD may cause puzzlement, but my intention was to highlight a common denominator in the choice of the works interpreted on this CD. One of the liaisons is biographical in nature: in three out of four cases, a significant change took place in the composer’s life just before the birth of the work. Another liaison, one could say, is the juxtaposition of music derived in part from folk origins of the past, as in the case of Schubert and Bartók, with music which has cast off any apparent connection to the past by jettisoning tonality as in Berg’s and Tanguy’s works. Revive this nearly forgotten score in a sensitive and compassionate performance.. prefer a more delicate touch in the opening movement .. and thus give a more ‘airborne’ quality to the tune .. convey the religious ardour of the beautiful second movement with similar restraint.. the transcendence of the movement is captured more persuasively. Schubert’s piano works are some of the most precious gems of the repertoire. 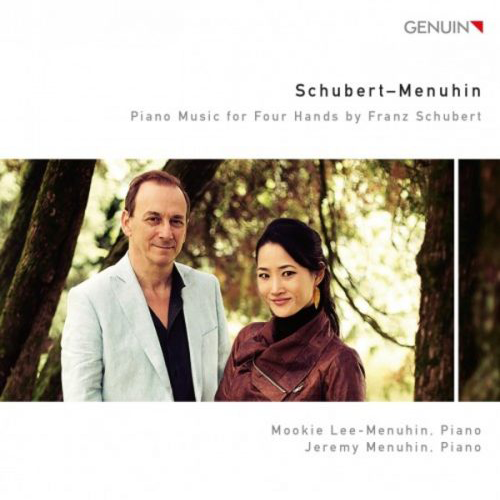 Mindful of this, Jeremy Menuhin and his partner Mookie Lee-Menuhin approach this deep and somber music, which only approaches anything cheerful or lighthearted at rare moments, with great sensitivity. With the Menuhins, the music breathes, allowing the endless melodies and long musical lines of works like the F-minor Fantasy to unfold. An exciting new discovery is the original piano transcription, by Yehudi Menuhin’s son, of the slow movement from the “Death and the Maiden” string quartet. 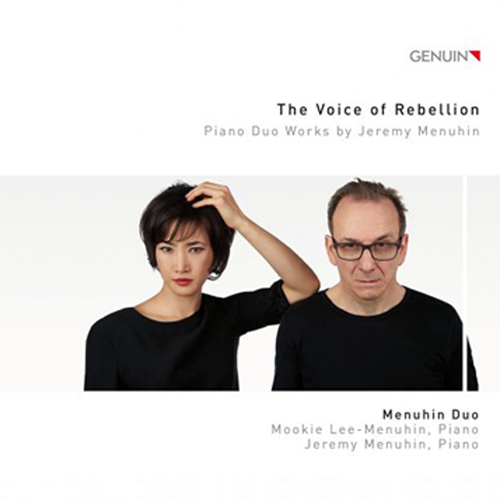 The two fabulous pianists are presenting it here in a world premiere recording.